Zavida's facilities are FSSC 22000 certified for our coffee products and will be certified for all liquid flavour products in 2019. Click to download our FSSC 22000 certificate. Organic coffee is grown without the use of non-organic synthetic pesticides, herbicides or chemical fertilizers on special isolated farms committed to using sustainable agriculture techniques. Organic coffee certification preserves natural resources and biodiversity, supports animal health and welfare, receives annual onsite inspections, separates organic from non-organic food and ensures that no genetically modified ingredients are present. Zavida's facilities are certified Kosher by the Kashruth Council of Canada, the largest Kosher certification agency in Canada. Visit cor.ca for more information. Over 70% of the coffee we source at Zavida is harvested from the Rainforest Alliance farms. This seal helps to ensure that our coffee has been grown and harvested using environmentally and socially responsible practices. Learn more about our partnership with Rainforest Alliance. Zavida sources only the finest Colombian coffee beans. 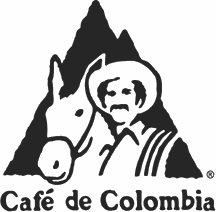 The 100% Colombian Coffee seal symbolizes our commitment to high-quality control and our partnership with Colombian coffee farmers by sustaining the origin of the land and the quality of the coffee beans.